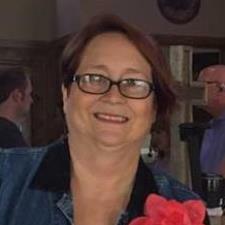 I am a retired teacher with 35 years of classroom experience in grades 1-5. I want to help your child fill in the gaps of skills he or she has missed in the past so today's lessons are not such a challenge. I like to provide parents with feedback on the skills your child worked on as well as practice ideas for the coming week that can be done at home. We can work at your house or mine or a neutral location if that is better for you. Contact me and we'll get started! Rate details: Group sessions: 2 students working on same skill or assignment--$48/hour. 3 students (max) working on the same skill or assignment--$51/hour. I have 35 years of classroom experience teaching grades 1-5. When tutoring in a subject that is problematic for a student I like to drop down a grade level or two to pinpoint underlying problems and target them. This closes learning gaps, makes my tutoring more success-oriented, and improves student morale. I have many years of experience teaching both printing and cursive to students. I believe proper formation of printed characters leads to ease in forming proper printed characters. In addition to the correct formation of the letters, handwriting fluency and self-evaluation is stressed. The pendulum has swung from phonics to whole language and back to phonics again. A thorough understanding of the phonetically scheme of the English language is necessary for most learners to thrive in early reading skills. My method is to introduce the phonics sounds, rules and skills in an organized way, with reading practice that reinforces the skills practiced. In the early 1980s, I prepared students to take the TABS. After that, students took the TEAMS, TAAS, and TAKS with preparation from me. Most recently students took the STAAR, Texas' current assessment with my coaching. My students will work on academic skills as well as test-taking techniques and strategies.